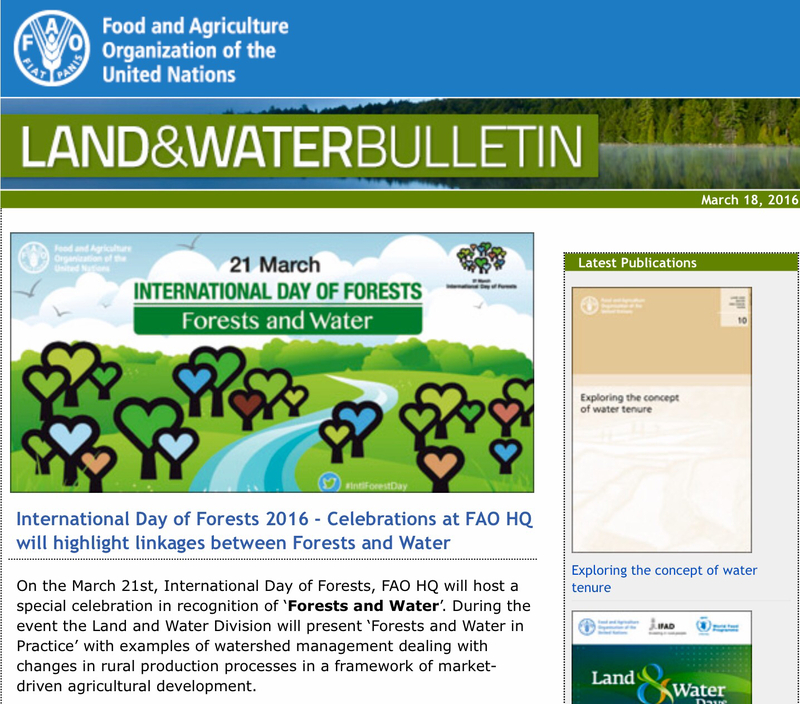 On the March 21st, International Day of Forests, FAO HQ will host a special celebration in recognition of ‘Forests and Water’. 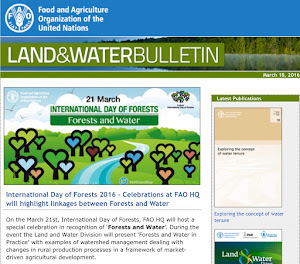 During the event the Land and Water Division will present ‘Forests and Water in Practice’ with examples of watershed management dealing with changes in rural production processes in a framework of market-driven agricultural development. EFFORTS TO preserve the country’s water reserves must be supplemented by legislation that makes rainwater harvesting compulsory for all housing developments and other such major projects which put a drain on Jamaica’s limited water resources during construction. 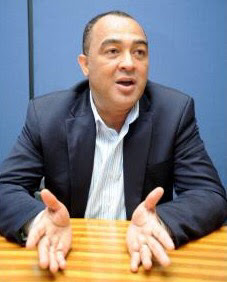 That is the recommendation from Dr Christopher Tufton, who told The Gleaner that such legislation is overdue, given Government’s failure to examine and report back on a resolution passed in the Senate March 1, 2013 on legislating rainwater harvesting. “This is yet another example of a country that gives lip service to sustainable development, while citizens have to experience the hardships from a water crisis each year. We have heard nothing of the resolution since then, and as is customary, we act surprised that we are in another water shortage crisis, even though we have this situation each year,” said the former government minister. He wants to make it mandatory that developers include in their applications information on how they will harvest and store rainwater for use during the life of the project. The legislation also speaks to the incorporation of features such as guttering on individual buildings, to ensure that water conservation becomes a part the Jamaican culture going forward. 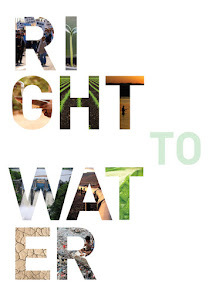 At the launch of A New Climate for Peace, a new report on climate-fragility risks produced for the G7 by a consortium of international partners including the Wilson Center, USAID Deputy Assistant Administrator Christian Holmes called water a common denominator for climate risk. One of the most striking infographics from A New Climate for Peace touches on that question of supply. 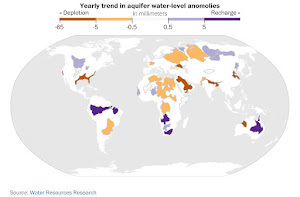 Using data from Oregon State University’s Transboundary Freshwater Dispute Database and adapted from a graphic that originally appeared in Popular Sciencelast year, the map shows the world’s most active – and tension-filled – international water basins. The total number of events is indicated by shades of blue – the darker the blue, the more transboundary events, both positive and negative. This is essentially the “hot list” of international water basins – which regions have the most official and unofficial chatter over water. Circles superimposed on the basins represent the total number of hostile events. As the description text points out, however, “circle size does not automatically translate into conflict danger.” In some places, transboundary institutions and diplomatic frameworks allow different actors to work through their differences. Cooperative hostility, if you will. In the Danube River Basin, for example, the high number of “hostile” events is mitigated by strong cooperative incentives associated with European integration. Likewise in North America, where Canada, the United States, and Mexico share several basins with a high number of hostile events, there is little chance of violent conflict. 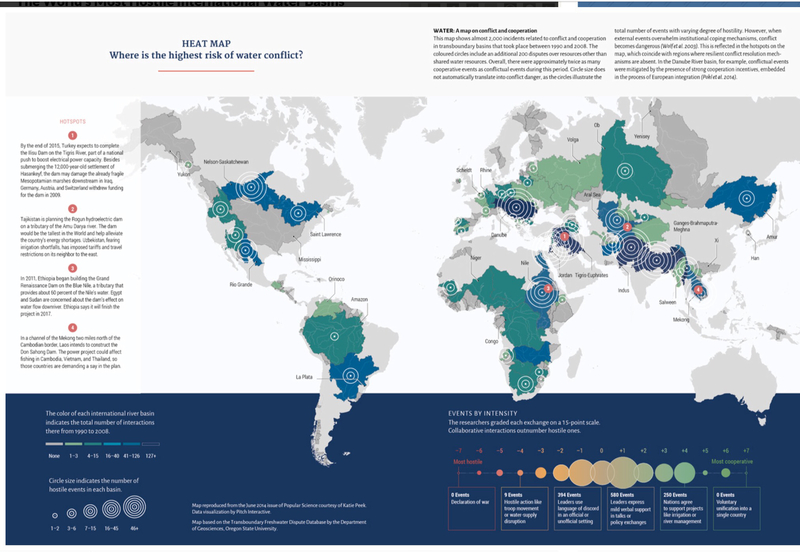 Water basins in South Asia, the Middle East, and East Africa are major hotspots with a high number of hostile events and weaker institutional frameworks to mitigate them. The Indus, Ganges-Brahmaputra-Meghna, Salween, Tigris-Euphrates, and Jordan basins witness a very high number of interactions, suggesting at least that continued dialogue could be a way forward to mitigate the risk of violent conflict or fragility. The Nile Basin has less activity reflecting the stalled negotiations between the basin’s 10 member states to replace colonial-era water agreements. The Mekong Basin, where the largest member, China, does not participate as a full member of the Mekong River Commission, shows less activity as well. More infographics from ‘A New Climate for Peace: Taking Action on Climate and Fragility Risks’ are available on NewClimateforPeace.org. Century of Water Shortage Ahead? 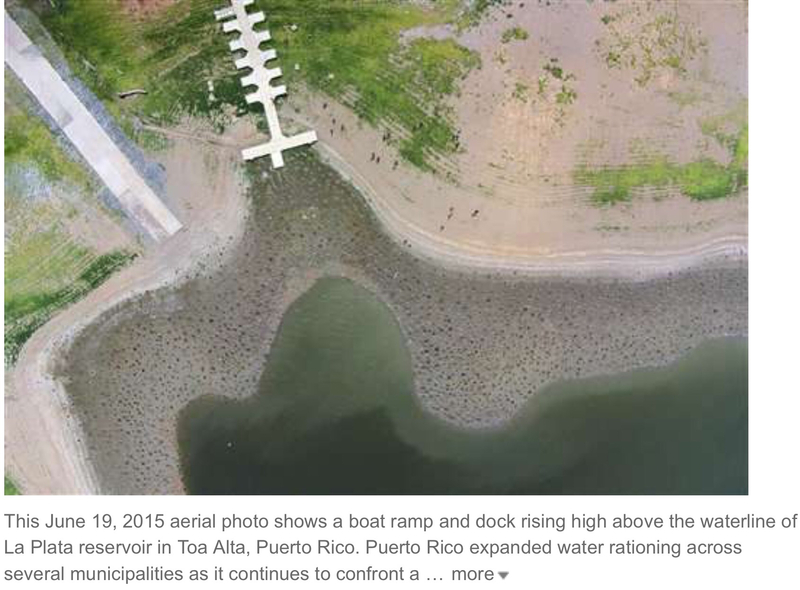 Lake Mead Drops Below Rationing Line For First Time in Its History. Lake Mead Drops Below Rationing Line For First Time in Its History. 1075 feet. That’s the water level Lake Mead must stay above before mandatory multi-state water rationing goes into effect. A level just 25 feet above the highest intake pipe used to supply cities across the Desert Southwest. Last night water levels at the key national water storage facility fell below that hard line to 1074.99 feet — a record low never before seen in all of its history. If water levels remain below the 1075 foot mark through January of 2016, then a multi-state rationing will go into effect (with most acute impacts for Arizona and Nevada). A rationing that will have serious consequences for desert cities across the Southwest, cities like Las Vegas which rely on Lake Mead for so much of their water. Despite Lake Mead hitting the 1075 hard line, it appears that rationing may be forestalled through 2016. It’s a silver lining of all the severe summer storms that have rolled through the Colorado River Basin this spring and summer — pumping up water flows to Lake Mead and Lake Powell. A flush of much needed moisture that will, hopefully, prevent water rationing from going into effect during 2016. But prospects for the future, despite this temporary respite, are starting to look a bit grim. The trend set in place by a human-forced warming of the Desert Southwest has resulted in an increasing number of dry years. The added heat forces water to evaporate more rapidly. So even when it does rain an average amount, moisture levels still fall. The result is not only an increase in single year droughts, but an increased risk of decadal droughts (called megadroughts). Thanks to El Nino, a warming of the tropical Pacific that affects global weather, and a quieter-than-normal hurricane season that began in June, forecasters expect a shorter wet season. That means less rain to help refill Puerto Rico's thirsty Carraizo and La Plata reservoirs as well as the La Plata river in the central island community of Naranjito. A tropical disturbance that hit the U.S. territory on Monday did not fill up those reservoirs as officials had anticipated. Puerto Rico is among the Caribbean islands worst-hit by the , with more than 1.5 million people affected by the drought so far, according to the U.S. National Drought Mitigation Center. The Caribbean's last severe drought was in 2010. The current one could grow worse if the hurricane season ending in November produces scant rainfall and the region enters the dry season with parched reservoirs, said Cedric Van Meerbeeck, a climatologist with the Caribbean Institute for Meteorology and Hydrology. 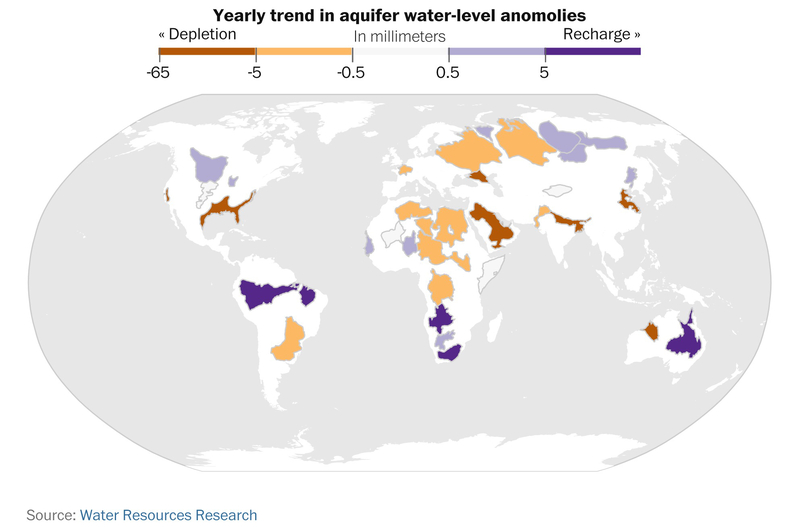 The Caribbean isn't the only area in the Western Hemisphere dealing with extreme water shortages. Brazil has been struggling with its own severe drought that has drained reservoirs serving the metropolis of Sao Paulo. Guests at Puerto Rico's El Canario by the Lagoon hotel get a note with their room keys asking them to keep their showers short amid the water shortage. “We need your cooperation to avoid waste,” says the message distributed at the front desk of the hotel in the popular Condado district.